Various kinds of taxes are forced by government internationally on organizations, people and properties to produce income and give fundamental social administrations to the general population. Various kinds of taxes are forced by government internationally on organizations, people and properties to produce income and give fundamental social administrations to the general population. It is not easy for any person to comprehend any matter, particularly its guideline by any other government bodies. 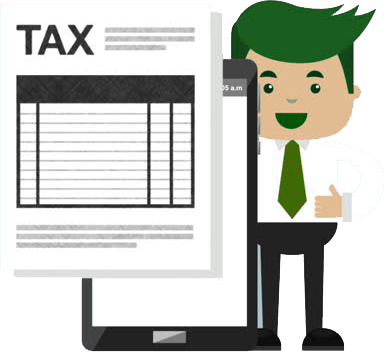 Understanding tax for some individuals and organizations tend to fall under such matters. Though, many might not feel like it, but tax elusion is a felony and it leads to serious severe penalty, under numerous national laws around the globe. We as a legal entity guide our clients about their legal arrangements of tax laws in the UAE. Our Legal team provides legal consultancy, outlooks with respect to the business and common issues, global taxation business organizing, financial administrations, expense forms, business contracts, basic legal needs and joint endeavours. To understand how and where the taxation is imposed by the government, we work on investigating our clients’ necessities and their working structure, to understand that is the only way to find grounds for assessing tax returns. Apart from that we also deliver advanced guidelines in order to shield and safeguard our clients’ wealth from unknown dangers. Entrepreneurs need to have legal counsel in regard to the measure of salary charges they have to pay for that, we provide income taxation calculation services, helping businessmen get by easily in UAE, other than that our special lawyers also give financial facilities, to help their clients avoid twofold tax assessment, by methods for twofold expense arrangements contracted by UAE and other nations. Through the Dubai duty-free, various businessmen come here for trade in return to earn profits, acquire benefits and then leave. Being fully aware and attentive to the needs of these businessmen and thus we try to give them help regarding tax. Limiting the taxation in a completely legal process is a worldwide business approach which is productive for every business, and therefore we as a legal firm will try to help you do so. It is our aim to provide our clients with such lawful and legal guidelines and opportunities, rather than letting them fall into evading tax.